Grafton has the talent to raise another trophy in 2016, but the Indians aren't looking that far ahead. Ed. Note- Today we welcome our newest correspondent, Connor Evans. A current student at Bryant University, Connor was a star on Grafton's lacrosse and soccer teams during his high school days. He begins his SuiteSports career by looking at his alma mater, and how the Grafton football team will look to follow up last season's magical run to the Division 4 Central title. The Indians enter 2016 with a star Division 1 commitment, plenty of new faces, and a wide-open field in the newly-aligned Division 3 Central. The Grafton High School football team has seen some success over the last few years, largely due to a strong sense of team unity and a “we’re-tougher-than-you” attitude that gives it the mettle to outlast most opponents. This mentality, along with a talented senior class, brought the team to the Division 4 state semifinal last year. But now that senior class is gone, so I stopped by a Grafton practice last week to see what will be different this year. “We’ve got a lot of young talent coming up,” senior captain Adam Swerling said. This Grafton team is definitely not senior-heavy. In fact, there are only seven seniors on the roster. Fontana referred to this seven as “the grunt class.” Relatively unknown, maybe, but this tight-knit group has played together since Pop Warner. They know the system. Most importantly, they know how to lead the underclassmen on this team, and aren’t afraid to lean on these younger guys down the line. Over the years, Grafton hasn't been known for its ability to stretch the field vertically. Granted, the pieces have always been right for a smash-mouth run game, but as the Indians pair new starting quarterback Matt Holbrook with returning senior play maker, and Syracuse commit, Ifeatu Melifonwu, we could see some slight changes in Grafton’s offense. Holbrook throws a nice deep ball, and with speed like Melifonwu’s, opposing teams will definitely have to be wary of Grafton going over the top. 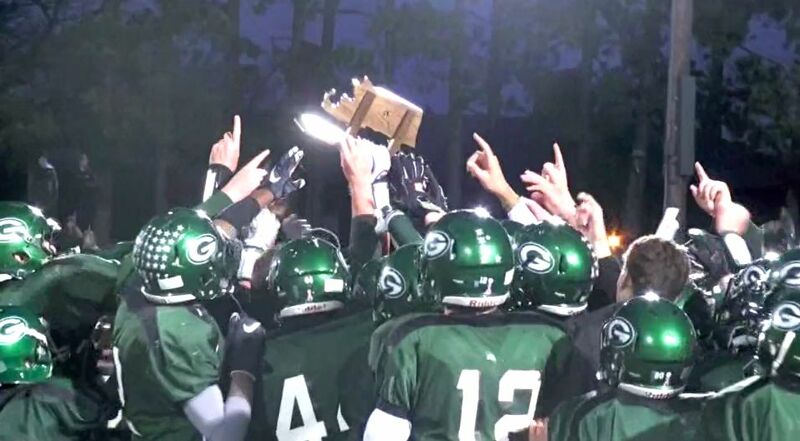 Swerling is putting into words the message head coach Chris McMahon has instilled in the heart of Grafton Football: Compete. Every practice. Every game. Every rep in the weight room. Every down on the field. Each is an opportunity to be better. Each is an opportunity to make a play. Every chance this team gets, they say they will leave it all out there. They believe they are built to wear down defenses, slowly beat up offenses, and they plan to be the last team standing at the end of each game. As for Grafton’s expectations on the season, they are true to the “One game at a time” mentality. On one hand, the state semifinal loss last season still sits in the back of the mind of all returning players as ample motivation. On the other hand, they don’t put too much emphasis on it. McMahon hopes this mindset will keep his team grounded, especially after recent success. The captains echoed this mentality as well. No one in Grafton is talking about a title. All eyes are on the next game. Can’t win if you don’t get there. Grafton is still the same. The names have changed since last season and the offense has had a bit of a makeover, but the core of Grafton Football has transcended class after class. Here comes a team that, no matter the matchup, is going to hang its hat on out-working its competition. It wouldn’t surprise me at all to see them go far again this year. The Indians enter 2016 as one of the favorites in the "new" Division 3 Central, along with reigning Division 5 state champion Northbridge. Nice article Connor. Keep them coming!